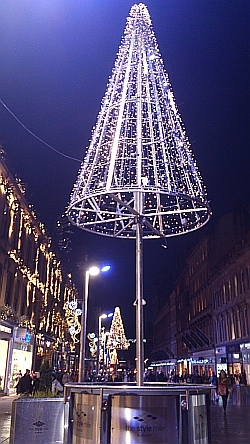 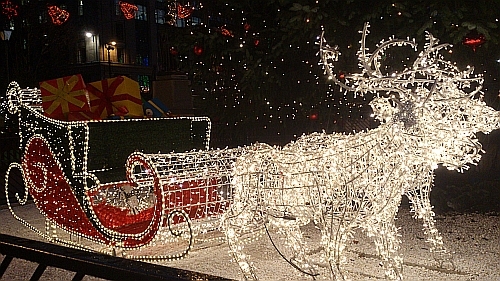 Every Christmas Glasgow City Centre and George Square have Christmas decorations and events throughout the Christmas period. This year is no different and I met some friends recently to sample the atmosphere in the run-up to Christmas. 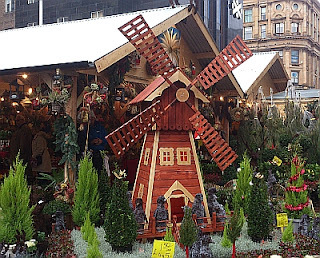 First stop was St Enoch Square where was filled with continental traders selling their goods. 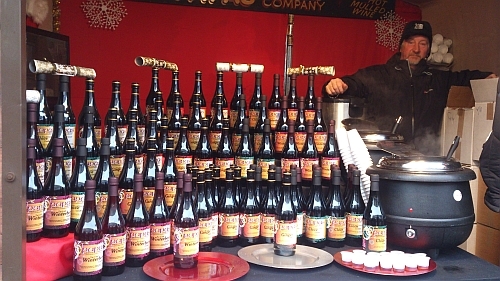 Many of them were selling food and drink and this was proving popular with visitors. 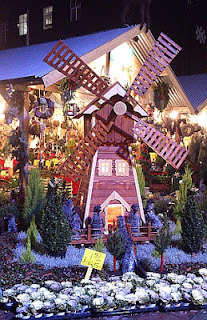 The food being sold included crepes, hotdogs, cheese, pancakes, cakes, sweets, German and Spanish traditional dishes. 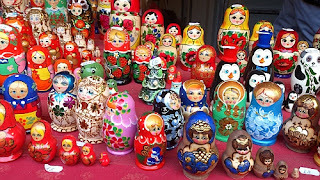 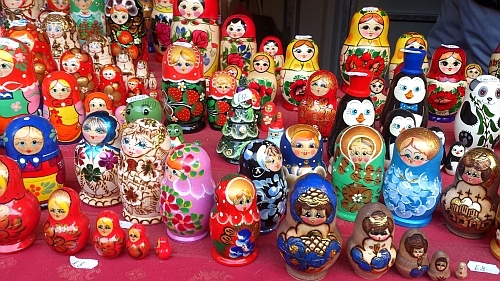 A woman had a stall selling Russian dolls and we had a look at these.They were very nice but we resisted the temptation to buy one. At the entrance to Dutch flower stalls was a miniature Dutch windmill. This was very popular with children and adults who stopped to look at it and take photographs. 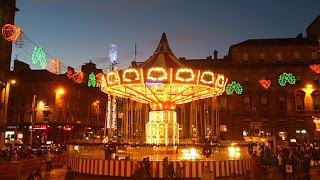 Later we returned to St Enoch Square to view the windmill at night. 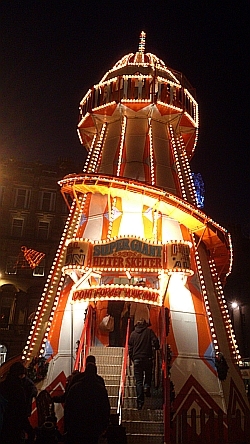 The two photographs above show how objects can change when viewed at night. The night image is more spectacular that the one taken during the day. 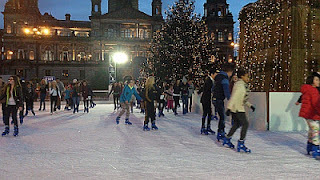 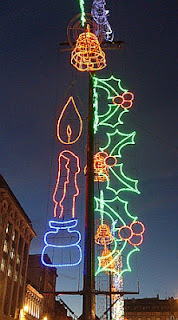 At around 15.30 we left St Enoch's and walked the short distance to George Square to look at the decorations there. 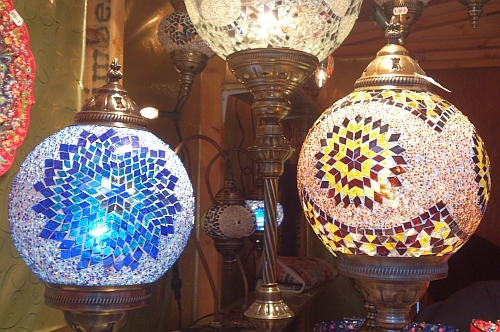 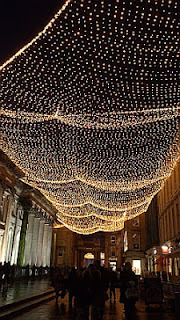 This is a spectacular sight at night with the "ceiling" covered in lights. 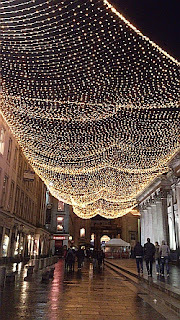 Both the north and south sides of the square have a ceiling of lights which is great to walk under. The street here was lined with small Christmas trees which run from Argyle Street end to the Royal Concert Hall. The day in Glasgow City Centre had been very enjoyable. 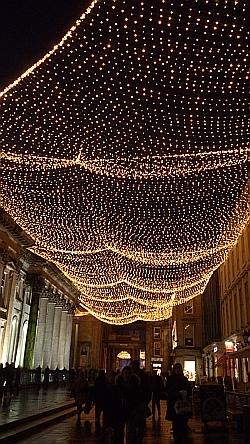 In the next few weeks we will be travelling to Edinburgh to look at the lights there. St Enoch's Square is situated between Glasgow Central and Argyle Street railway stations.